University of Groningen researchers have discovered a new biochemical process that can convert a sugar derivative into a building block for the polyester PEF, a green alternative for PET bottles. 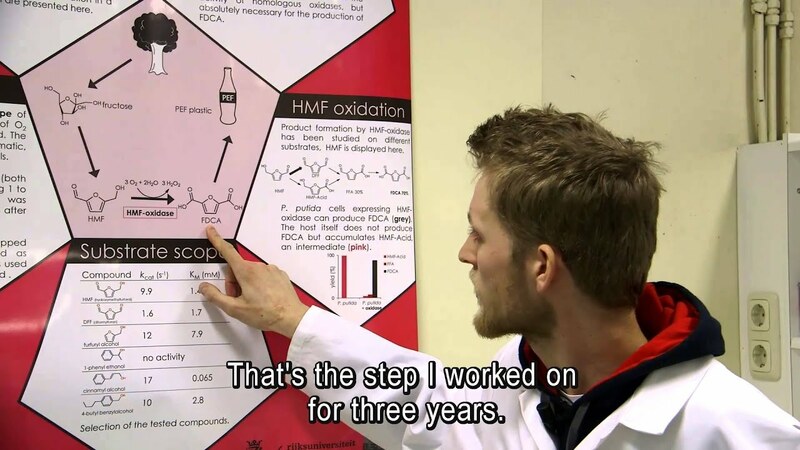 PhD student Willem Dijkman and other Groningen biochemists found an enzyme that can take three of the steps towards that conversion. Industrial partners will now be able to work out the next steps in the process of converting sugar to plastic.